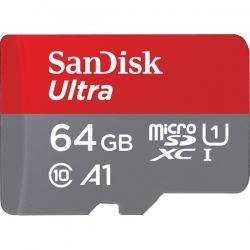 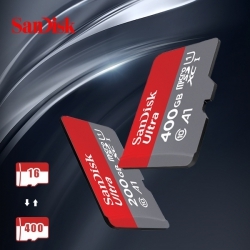 SanDisk Ultra & microSDXC UHS-I memory card is suitable for recording video and Watch Full HD video, this new memory card can even video longer stored. Transmission speed up to 100MB/s** (64GB-400GB only) allows you to move as fast as lightning speed all content as long as a minute can move up to 1200 photos this memory card. The obtained A1 ratings said you can also load faster applications, making it an ideal choice for Android intelligent mobile phone and tablet computer.